Bio-Oil is a specialist skincare oil designed to help improve the appearance of scars and stretch marks. Bio-Oil has a unique formula, which contains a combination of plant extracts and vitamins suspended in an oil base. These ingredients contain skin renewing and conditioning properties, assisting in increasing elasticity, promoting the formation of new collagen and smoothing the appearance of fine lines and wrinkles. Unique to Bio-Oil, PurCellin Oil™ assists in the delivery of its key ingredients, making it non-greasy, easy to apply and readily absorbed into the skin. It also acts as an emollient, making the skin smooth and supple. Bio-Oil has shown to improve the appearance of scars in 92% of subjects after eight weeks* and improve the appearance of stretch marks in 95% of subjects after two weeks*. For proven results, massage twice daily in a circular motion until full absorbed*. I have been using this oil on my body for the past 5 months and I'm disappointed to say that I haven't seen any results. I have stretch marks on my belly from my pregnancy last year and some fresh scars on my arms and this oil did not improve the look of either. I also dislike that this oil never really sinks into the skin. I rub it on my body after my shower and even after 10 minutes, the oil still sits on top of the skin in a slightly sticky layer rather than absorbing. As a new mum, I don't have time to wait around any longer than that so it usually just transfers onto my clothes. I also didn't find it particularly moisturising for my slightly dry skin. I prefer to use other body oils or lotions over this product. I had heard and read so much about this oil being a miracle for stretch marks during pregnancy that i gave it a go. Used this oil religiously all through my pregnancy but ended up with stretch marks early on( I know genetics right?). It definitely moisturized my dry skin but did not prevent stretch marks. Also great as face oil but it just sits on and makes it extremely oily the next morning. Overall a great product just did not work for me. For what seems like my entire life I have dealt with deep lines on my forehead (I have a very animated face.. hence the lines). I was recommended this problem to help the situation however it didn't really help me out... however since the bottle was sitting in my cupboard I decided to put it to use on other areas... mainly my legs! I have always had issues when legs, for some reason being significantly drier than other areas of my body. This product has helped my skin stay hydrated and make my tanning routine much easier and stay on longer. It might seem strange to use this as a product for legs however it has been amazing and I will continue to use the product on my legs. My sister used this product during her pregnancy and has no stretch marks so that also is a great sign of a great product. buy the big bottle.. much better value! I used Bio Oil during my pregnancies and more recently on my scar after an operation. Although I won't use it as an everyday moisturiser I think it is great value for specific treatments such as scars. I found once the scar has closed up regular application made my skin softer, the scar felt less 'bumpy' and I had less tension on the site after each application of Bio Oil. Personally I don't think it absorbs grease free but based on my scar location I wasn't fuzzed by it. Apply sparingly. A little goes a long way. Purchased Bio Oil when I got pregnant and was applying it from the 4th week to avoid stretch marks. Got a big nasty pigmentation on my face (thanks for pregnancy side effects) and noticed I could use Bio Oil for pigmentation as well and boyyyyyyy it worked wonders for me! The pigmentation faded in no time! And oh let's go back to the main reason I bought it; I got no stretch marks so far although my belly is huge (I'm 8 months now). I have been using the Bio-Oil for several months now on my scars after surgery. My surgeon recommended to me that I use Bio-Oil. This oil helps to keep my scars moisturised and my skin soft and supple. Bio-Oil is very easily absorbed and I find it to be quite soothing. I apply the oil in the mornings after showering and at night before bed. This product is not to be used on broken skin. I use the Bio-Oil on my scars but there are other areas on which it can be used depending on the problem that you have. These include on stretch marks, for uneven skin tone and on ageing and dehydrated skin. 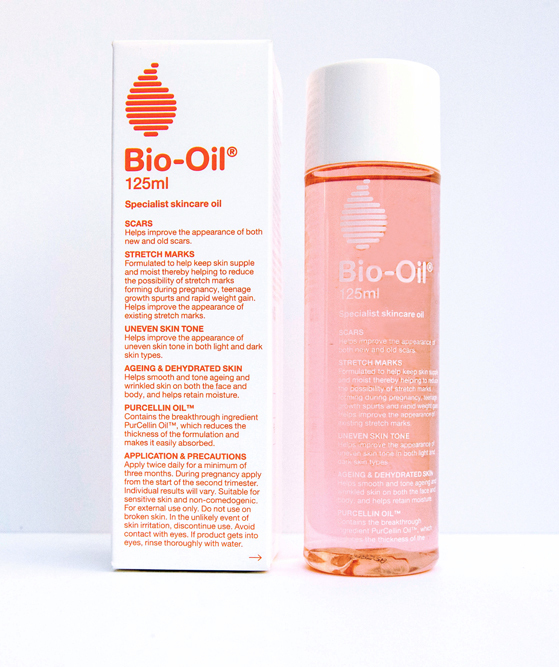 Bio-oil is pink in colour with a light floral fragrance. I personally liked the smell of the product. I can't exactly describe it but for some reason it reminds me of grapefruit? Anyway, this product is rich. Really rich, which is why I think it would be better for those with dry or cracked skin. The skin on my body is quite normal, though it gets a little dry on my legs. Using this product on my body made me feel slicked up, especially on my back and torso. It was nice for my legs but only if I was planning on wearing shorts as the oil took quite a while to sink in. Overall, I'll be sticking to my argan oil because not only is it cheaper but also more suitable for me. This is great for preventing and reducing stretch marks. Whether you’re growing rapidly or pregnant, any quick changes in skin can cause stretch marks and some skin types are more susceptible than others. Using bio oil daily can help to reduce them once you have them and prevent more. My mum had 6 children and she dorsnt have a single stretch mark. It’s quick and easy to use and I love it. I went through a few hormonal changes last year that left fresh stretch marks across my chest and arms. I used Bio-Oil religiously for almost four months but didn't see any change or improvement in the marks. I have since switched to using a DIY mix of sweet almond and Vitamin E oil that has improved the texture of my skin a lot more than Bio-Oil. I'm not sure why, but my skin didn't seem to absorb the oil and I didn't like the smell at all nor the texture as it is almost greasy. I haven’t seen any notable results from this product on any of my scars. However, as it is an oil, it is extremely moisturising and is good for dry skin and patchy skin. It can be used at night as a light moisturizing cream alternate but not something extraordinarily. Since starting to use Bio-oil on my upper thighs and hips in the hopes of hydrating and lessening my stretch marks, I have seen a noticeable difference after 3 months of use. My skin is baby soft, and the stretch marks that were once visible and obvious are now reduced and have become thinner in width. All in all, Bio-oil (in my experience) as worked to lessen the visibility of my stretch marks, and given me back some of my self confidence. I always keep a bottle in my bathroom vanity to rehydrate patches of dry skin, uneven skin tone and to prevent scarring when I get scratches or scrapes on my skin once a scab has formed (not suitable for broken skin). It has a light, pleasant scent with a ever so slight oily texture. I only ever need to use a little bit on each skin mark/patch. Thankfully the packaging has a small dispensing hole so I don’t overdo it. The instructions say to use for a minimum of 3 months however I find I only need to use the Bio-Oil for 2-3 weeks at a time at the most; sometimes only a few days is required. This product is Made in South Africa. Always keep it in your bathroom vanity because you never know when you'll never need it. Including adding to your bathwater. dry skin; uneven skin or scar prevention. I bought this oil as I read a lot of good reviews on it and I have some very deep tissue scarring I wanted to treat. In my opinion it is awful, it doesn’t absorb into your skin and the scent is too overpowering. On reading the ingredients which I usually do before buying oils except on this occasion, I found it contains mineral oil which is in baby oil and is actually a very nasty oil that can cause reactions even burning! And to think it is used on babies! Don’t waste your money!  Vitamin e oil, rosehip oil, or jojoba oil are a more natural safer oil to use. I have always been so conscious of my stretch marks and my scars from work. I have tried other lotions and ointsments that are meant to get rid off scars and stretch marks, but none of them quite worked. I thought I just had to live with my marks and scars. Until my mum who have pretty bad tummy stretch marks from giving birth to 2 daughters recommended Bio-Oil. At first, I was hesitant due to past experiences with similar products but I got the courage to finally buy and I'm disappointed that I didnt buy it any sooner! I apply to affected areas twice a day (before work and before bed) and within a week I could already see the results! I couldn't be any happier and I am already getting my body confidence back. This is the only product I would use for scars and stretch marks it's so perfect. I'll admit, i came into this expecting all my scars to completely vanish and was quite disappointed when i saw little progress after a few weeks. That being said, i've used this product for around a month now and - after lowering my expectations a bit, i am quite happy with the results. My scars have lightened in colour and the oil itself can be used sparingly while providing intense moisture. I've started using this on my face as I've noticed just pigmentation from being out in the sun and after a couple of weeks I've noticed some difference and fading. I was a bit hesitant because of the oil and my sensitive skin but pulled through it and will continue to do so. After a while you figure out how much oil to use as in the beginning I was shiny AF. A small amount to start with. Bio oil is a favourite of mine I have found it to be fantastic for my tummy as it so effectively fades stretch marks and leaves your tummy looking and feeling great. This product really delivers it has a light subtle fragrance and is super easy to apply it’s not like any other oil I’ve tried. It glides on onto the skin and absorbs effortlessly into your skin. And it leaves you skin moist and glowing all day. 11 new brands have just joined beautyheaven!